First announced at the beginning of this year, here's our very first look at Good Smile's Mega Man X Nendoroid figure. Though its only a prototype, our little Maverick Hunter here is looking sharp! Hopefully we'll have more news on a release date and accessories soon. This prototype suggests that X's forehead gem will be opaque... kinda odd, since I'm pretty sure other Nendos use transparent plastic. Of course, a proto is just a proto, so it may not be clear here, but it seems to be part of the same mold as the majority of the helmet with no distinguishable seam. Definitely gonna be transparent when they ship. If not, I'd find it very odd. All the previous Nendoroids just painted it on in a gloss coat. This'll most likely be the same. Looking good! I would SO like to own one of these prototype sculpts but I doubt they ever get out. 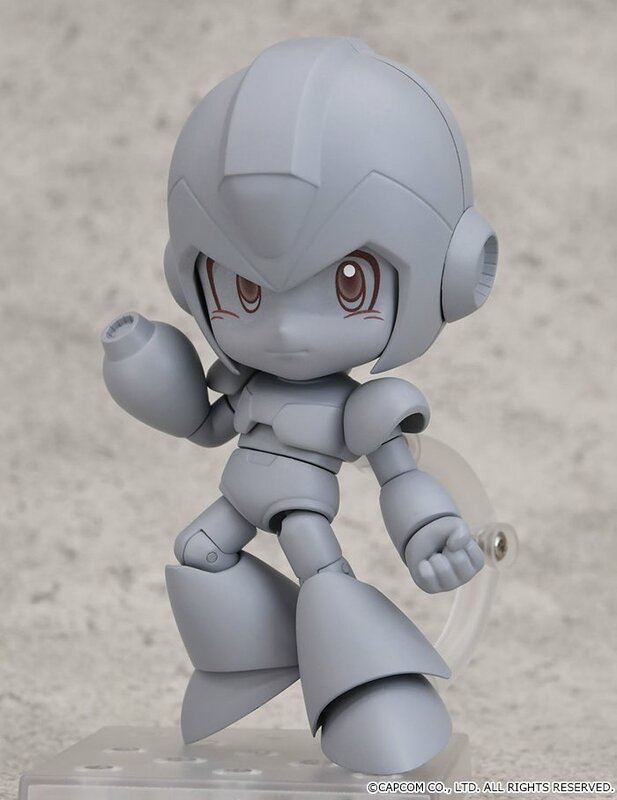 This Nendo range is really cool, I'm waiting for my Zero in the end of the month. With X, the duo are always winner even in SD style.